strong aptitude for delivering bottom line savings for our customers that goes well beyond a typical PVF distributor's value-added services. The result of our efforts is a division of Pipe Valves, Inc. called PV Controls, which focuses on process solutions and has products and services for steam system optimization, valve automation, monitoring and controls. 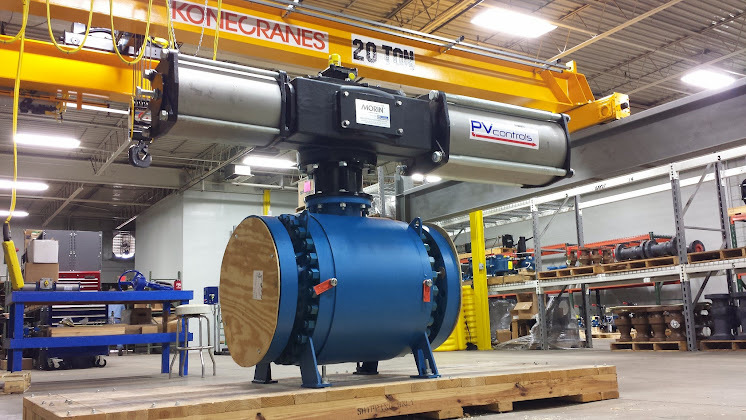 PV Controls has expanded its' physical footprint within Pipe Valves as well as its product lines and service capabilities. by optimizing your steam, air, and fluid processes. Clients see our results in their bottom line. If your plant or facility is being asked to reduce costs to improve your company's bottom line, then check out www.PVcontrols.com to get your "Opportunity Clock" started. There you will see case studies that show ROI and payback analysis that can quickly justify implementation of proven solutions.